Gov. Jerry Brown issued an Executive Order today that establishes long-term water conservation measures, including permanent water use restrictions and monthly reporting requirements. Additionally, State Water Resources Control Board (SWRCB) staff released a proposal to change agency conservation targets based on local water supplies. On April 1, 2015 Governor Brown mandated a 25 percent reduction in urban water use across California. Subsequently, the SWRCB adopted emergency regulations to implement the Governor's order. The regulations based conservation targets on residential gallons per capita per day use and created tiers ranging from 8 to 36 percent reduction. CVWD was assigned a 36% conservation mandate. In February 2016, the targets were adjusted to reflect climate, growth, and new water supplies. CVWD's target was reduced to 32% at that time. Today's Executive Order and SWRCB staff proposal are available here. The following is a statement from Coachella Valley Water District (CVWD) General Manager Jim Barrett on the changes. "CVWD has always prioritized conservation as a way of life in the desert and therefore supports the concept of long-term water conservation strategies. 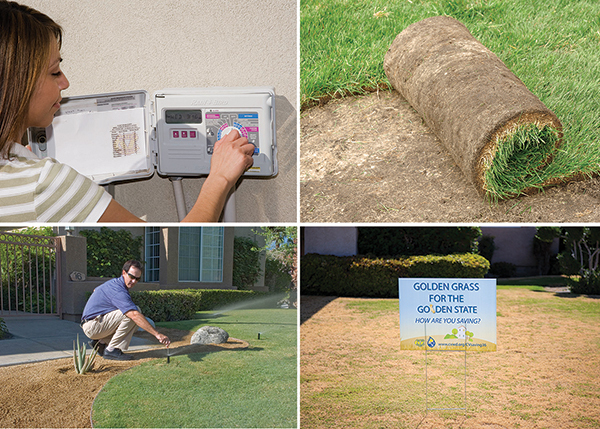 Making water use restrictions permanent will help reinforce good habits and reduce water waste. CVWD staff has investigated nearly 650 water waste reports so far this year. We have worked collaboratively with other local water agencies to develop and implement long-term water management plans that provide a blueprint to a sustainable and drought-resistant water supply. "CVWD further supports making conservation targets based on local water supplies. This common-sense approach is achievable and effective. This new approach was originally proposed by a collaboration of water agencies, including CVWD, who lobbied that In order to effectively address the impacts of the drought, both supply and demand should be considered. "CVWD and its customers have worked hard to try to meet the state's conservation mandate. More than $6 million has been invested in conservation programs and residents have taken advantage of these programs in record numbers to reduce water use. Since June of 2015, customers have reduced use 25% compared to 2013."